Dennis Ross, Farrar, Straus and Giroux, pp. 496. On 12 May 1948, nearly six months after the United Nations voted to partition Palestine into separate Jewish and Arab states, United States President Harry Truman convened his foreign policy team along with his counsel, Clark Clifford, to help him decide what the US government’s position should be on Israel’s soon-to-be announced declaration of statehood. After Clifford set out the reasons why it would be a mistake not to recognise the new State of Israel, Secretary of State George Marshall unloaded a bombshell. After questioning the right of a ‘domestic policy adviser’ to sit in on a foreign policy discussion, Marshall avowed that if the president followed Clifford’s advice, he would not be supporting him in the upcoming Presidential election. Marshall was not alone in his hostility to recognising the new State of Israel. According to Dennis Ross, in his sweeping history of US-Israel relations since that time, Truman’s entire foreign policy team believed that such an action would be so unacceptable to the Arab countries of the region that it would cause incalculable damage to US relations with them. As Ross puts it, Marshall and his colleagues believed that the Arab world would be ‘aroused against us if we were seen as siding with the Jews’. This line of thinking, Ross points out, has endured since Truman’s time, in the national security establishment ‘even when actual behaviors belied predictions of the consequences of taking steps to aid or support Israel’. Notwithstanding such dogma, virtually every president since Israel’s declaration of statehood in May 1948 (with a single exception) has maintained a supportive relationship, to one degree or another, with Israel. Yet, the extent of that support has varied depending upon the president’s affinity with Israel and the ways in which he and his national security team have weighed the many interests at stake in that region. But regardless of their personal sense of affinity with Israel, every president, with the sole exception of Truman’s successor Dwight Eisenhower, has come to the realisation that support for the Jewish state is consistent with America’s interests, values, or both. Fears that supporting America’s closest ally in the region would turn its Arab allies into enemies have repeatedly been proven wrong. This is because those countries in the region that have turned to the US for support are far more concerned with their own security needs than they are with how the US deals with Israel or how Israel deals with the Palestinian issue. By the same token, those American presidents seeking to curry favor with Arab leaders by withdrawing support from Israel have found themselves disappointed with the result. For example, Eisenhower’s actions taken against Israel, Britain and France during the 1956 Suez crisis gained his country nothing more in the Arab world than the negative perception that it does not stand by its friends. These lessons have to be relearned by every president, who is both sensitive to the US position in the Arab world, and nearly always under the influence of foreign policy advisors and bureaucrats convinced that supporting Israel will damage America’s interests in the region. A good case in point is Richard Nixon, who came to office feeling the need to restore US relations with Arab countries following the Johnson administration’s embrace of Israel. That embrace had included hosting the first visit of an Israeli prime minister to the White House and the selling of offensive weapons to Israel to counter the Soviet rearming of Egypt and Syria following the Six-Day War. 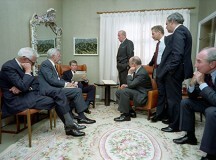 Nixon also regarded his outreach to Arab countries as a way of halting Soviet influence in the region. Nixon’s Secretary of State William Rogers, to whom he had ceded Middle East policy, vigorously promoted a regional peace plan that involved working with the Soviets to pressure Egypt into accepting it while the US pressured Israel to do the same. But as National Security Advisor Henry Kissinger would later point out, the Egyptians knew that in the end, it was only the US — and not their Soviet patron — that could help deliver the territory lost in the Six-Day War. The regional peace plan died when it was rejected by each of the three parties the Secretary of State had sought to bring into it. Nixon did finally move on supplying Israel with military assistance, but only after it agreed to an urgent request to come to the aid of King Hussein when a radical insurgency with Syrian support threatened to overthrow his regime. Kissinger let Israel’s Ambassador to the US Yitzchak Rabin know that the president would never forget his country’s role in saving a key American ally. During the first week of the 1973 Yom Kippur War, the US at first believed it could restrain both sides and therefore held back its resupply of Israeli arms. When the Soviets would not reciprocate and continued to resupply their Egyptian and Syrian allies, Nixon, though preoccupied with the Watergate scandal, instructed the Pentagon to send the Israelis ‘everything that can fly’ resulting in 550 flights over the next few weeks delivering critical military material. Since the administration of Ronald Reagan, who regarded Israel as a strategic partner, a continuous agenda in US policy has been the search for an Israeli-Palestinian peace agreement. Many US foreign policymakers have sought to make the Palestinian issue the central feature of US-Israel relations, believing its resolution holds the key to diminishing hostility to the US in the Arab world. But as Ross, who has played a central role on behalf of several US administrations in peace negotiations, points out, the ‘hard truth’ is that the issue is simply not a priority for Arab leaders. The notion that the US alliance with Israel is a liability is, of course, not limited to Arabists in the State Department, Pentagon, and Central Intelligence Agency. 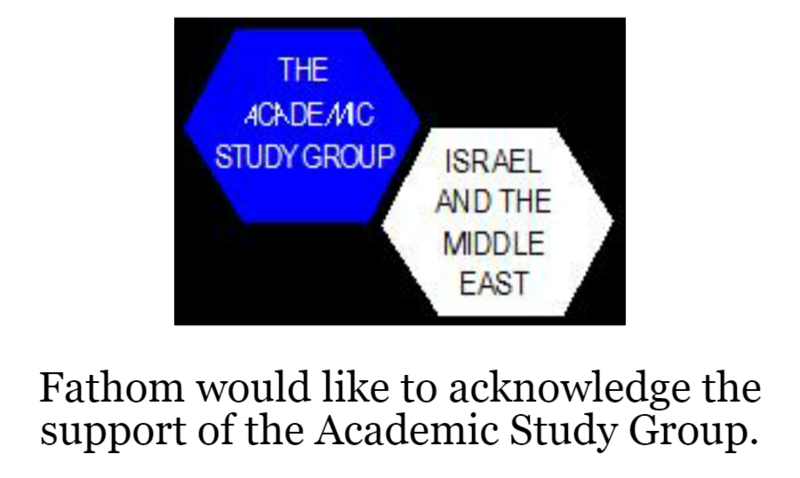 So-called realists in the academic world continue to argue that the US relationship with Israel, in their perception so obviously at odds with its interests in the region, can only be explained by the existence of a powerful domestic pro-Israel lobby. While not dismissing the influence of domestic lobbying, Ross asserts that its impact is confined largely to Congress on matters such as assistance packages for Israel and has little effect on strategic policy decisions. We know that the pro-Israel group AIPAC could neither prevent Reagan’s sale of advanced radar systems to the Saudis nor President George H.W. Bush’s delay of housing loan guarantees when it became intertwined with the issue of West Bank settlements. Nor could vigorous lobbying overcome the Obama administration’s determination to sign a nuclear agreement with Iran that Israel and its supporters continue to regard as profoundly damaging to both the country’s short and long-term interests. 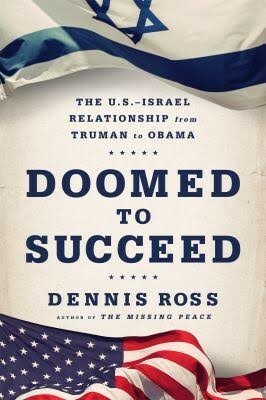 Ross’s account of Obama’s relationship with Israel and with Prime Minister Benjamin Netanyahu puts his thesis of the enduring nature of the US-Israel alliance to its greatest test. From his perch inside the White House as a special adviser on the Middle East, Ross saw firsthand how the president explicitly sought, from the very beginning of his administration, to distance himself from Israel as a way of repairing what he regarded as a damaged US relationship with the Muslim world. 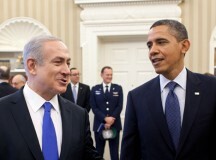 That distancing would take a number of forms, including a refusal to visit Israel on the president’s first trip to the region (against Ross’s advice); demands for a total settlement freeze as a precondition to starting peace negotiations with the Palestinians; the president’s assertion that the onus for reaching a peace settlement rested solely with Israel, since it was the ‘stronger’ party; the deliberate characterisation of West Bank settlements as ‘illegitimate’, thus calling into question the retention of any portion of the West Bank for security purposes in any peace settlement; the arm’s-length approach to Israel in its negotiations with Iran over the nuclear deal; and personal anonymous attacks by White House senior staffers on PM Netanyahu. Ross notes that in contrast to previous administrations, President Obama surrounded himself with advisors who were tougher on Israel than those in the State Department, the long-standing home of pro-Arab sentiment in the US government. Yet when it came to supporting Israel’s security needs, Ross notes that ‘the scope of the security collaboration went beyond what any previous administration had put in place’. 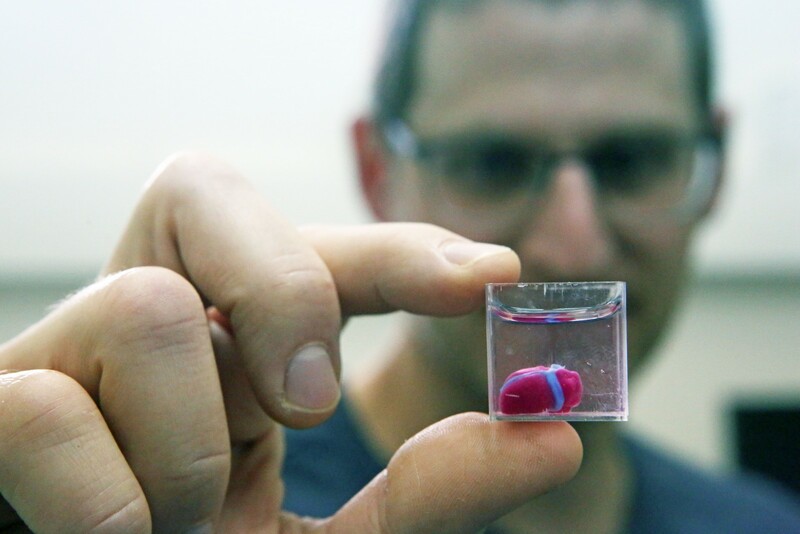 To a certain extent, this collaboration was related to the need to stay close to the Israeli military in order to dissuade it from attacking Iran’s nuclear program. Ross compares the Obama administration’s approach to Israel with that of the first President Bush, ‘marked by a similar duality—strategic responsiveness and public differences’. 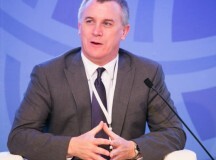 The Israeli journalist Hirsh Goodman has described the US as Israel’s ‘guardian angel’, standing up for it in hostile international forums, helping to shield it from hostile actions, and providing it with billions of dollars in economic and military support. The evolutionary road of this support, as Ross demonstrates in this important work, has been a bumpy one, with segments of America’s foreign policy establishment continuing to question its value. But even they must concede that the support the US provides to Israel has not been a one-way street, as its military, intelligence, scientific and counter-terrorism communities can attest. At a time when the level of turmoil in the Middle East continues to rise, future US presidents will, like their predecessors, appreciate the substantial dividends the relationship with its most reliable ally in the region continues to pay.